Frickin the Best Apparel Ever! 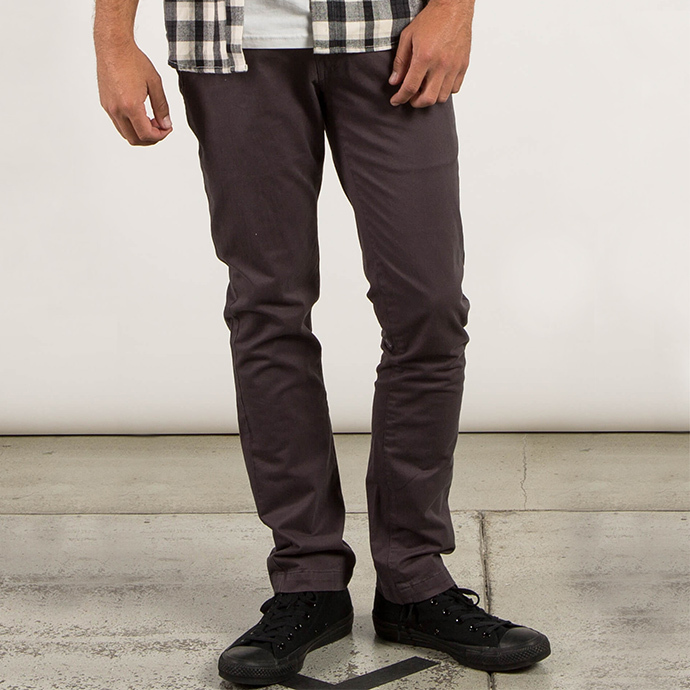 A modern take on a classic with a 16” leg opening and a streamlined fit. Features our signature asymmetric back yoke. A classic look that wears all season long. 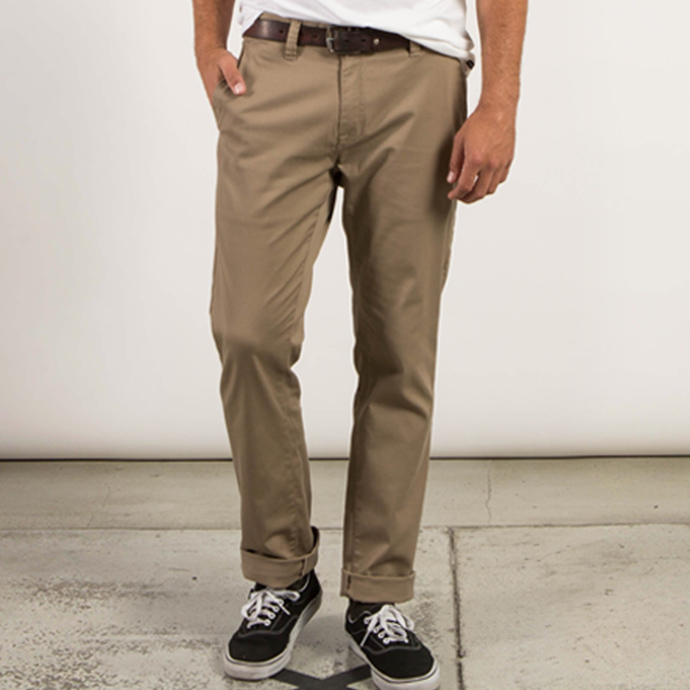 A more fitted take on our classic trouser style with a 15” leg opening and slim fit. Pre-laundered for a comfy lived in feel. Love the fit of your pants. 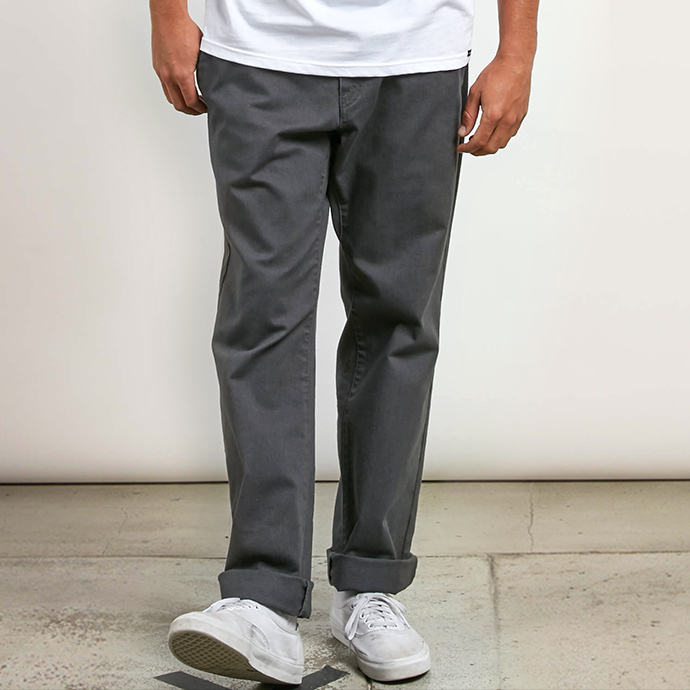 Not to baggy, but just loose enough for style and comfort. Nice enough for Sunday occasions, but comfortable to wear. Limited Quantities! 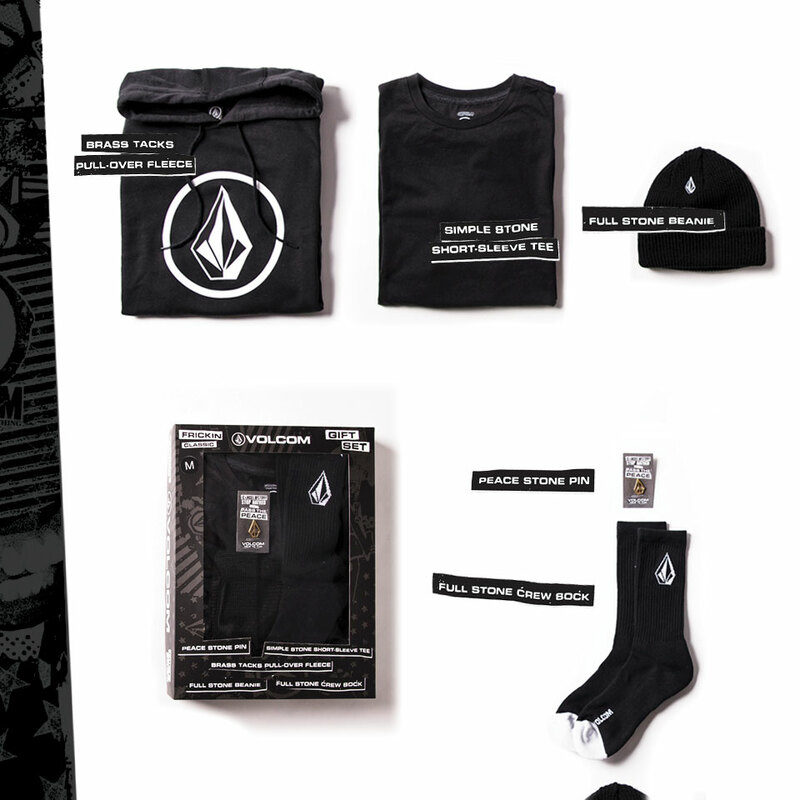 5 Volcom Frickin Classic Styles for $99. A $20 savings! Nothing beats a comfy solid T-Shirt. Stock up on you Frickin favorite basic tees.